Daniel Mrugalski's passion for model making started with his grandfather's model railway collection. 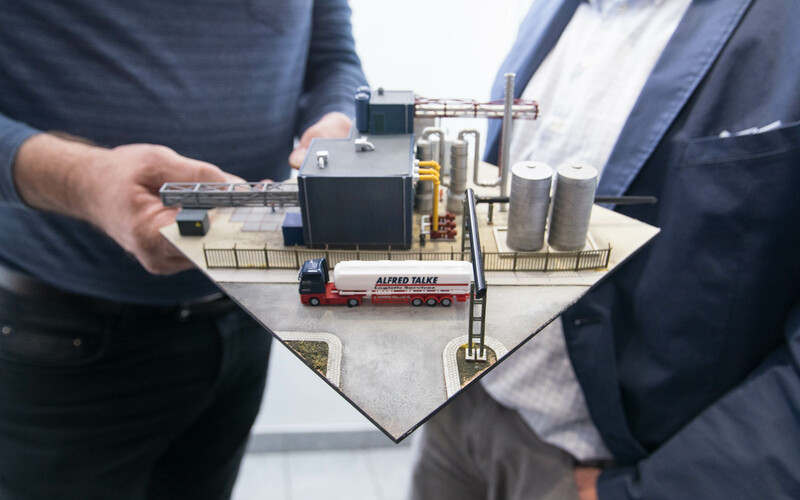 Today, Mrugalski's model making company, DM-Toys, is Europe's market leader for N scale products, model trains, and specialist accessories made to scales as small as 1:160. DM-Toys has grown exponentially since it was founded in 2004. Today, the company serves tens of thousands of customers worldwide, generates several millions of euros in annual revenue, and employs 40 people at five sites. Mrugalski's success story from hobby modelmaker to entrepreneur shows how a company operating in a traditional, niche market can scale. Global trade has played a key role here, but so has the company's in-house production process in its digital factory. CAD, laser cutting, and 3D printing accelerate prototyping and production cycles. Mrugalski uses modern production methods to manufacture small production runs flexibly and cost-effectively. “3D printing enables us to respond to market demand at a previously unthinkable speed,” explains the young entrepreneur. Within a year, DM-Toys increased its in-house production from zero to five percent. Today, the parts that the company produces in-house using additive manufacturing are twice as profitable as products manufactured and distributed by external companies. DM-Toys has classic startup roots. It began life in its founder's student apartment, which proved too small for his grandfather's model railway collection in the conventional H0 scale of 1:87. Mrugalski then discovered the compact N scale, which, at 1:160, is about half the size of traditional H0 models.. “N scale saves space. But it is also the perfect choice for creative model makers who are passionate about detail and want to continually expand their dioramas,” continues Mrugalski. “In comparison, the display cases of H0 collectors are full of trains and accessories that have completely saturated the market.” Recognizing this potential, the business studies student decided to leave university in 2004 and turn his private bartering with model trains into a professional business. There is a long tradition of railway modeling in Europe, especially in Spain, the UK, the Netherlands, France, and Germany. 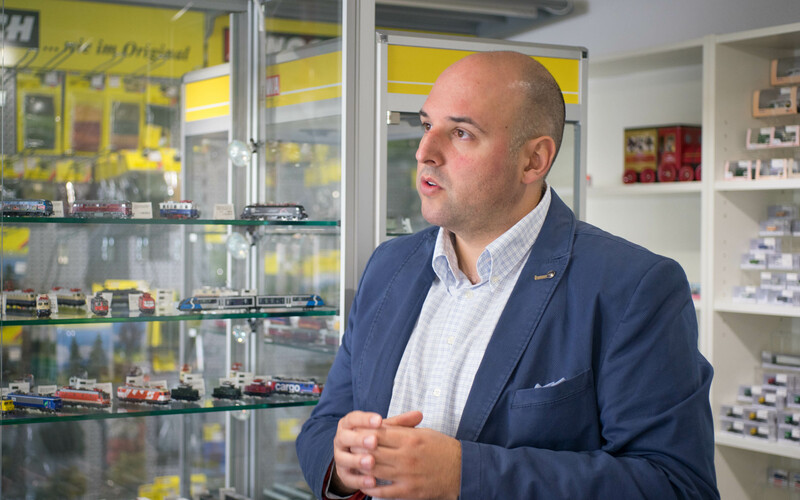 While the growth of traditional manufacturers like Märklin and the popular 1:87 scale H0 stagnates, Mrugalski and his team are opening up the model railway market to a new generation. One key factor here is the compact scale, which is more suitable for increasingly small living spaces. Another factor is Amazonification, wherein today's customers expect to receive products more cheaply and quickly online than in conventional shops. Mrugalski combines external plastic injection molding with in-house laser cutting and 3D printing. “Shorter production cycles give us a competitive edge and enable us to grow in areas that would not be viable using traditional production methods. We generate profit across a range of sales volumes depending on individual product and target groups,” says Mrugalski. It's no coincidence that the Form 2 has been integral to this transition. Mrugalski outsourced his first 3D printed model back in 2007. It was a model crane that cost 300 euros. However, the quality of printing back then was at a price level that was not economical compared to traditional manufacturing methods. Fast forward a decade and DM-Toys is the proud owner of eight Form 2 stereolithography (SLA) 3D printers that work around the clock to manufacture Dm-Toys’ proprietary designs in-house..
DM-Toys uses eight printers to develop and produce small production runs around the clock. Find out more about using multiple printers in a print farm. Stereolithography is a 3D printing technology that uses a laser to harden liquid resin and create a finished printed product. Find out more about SLA 3D printing and its applications. Today, DM-Toys uses six 3D printers for manufacturing and two additional machines in product development. In just nine months, the company has already brought two hundred different items to market using the Form 2. DM-Toys wants to double this figure in 2018 in order to respond even more rapidly to customer requirements and market developments. From extremely small parts like street lights with integrated LED lamps to more complex items such as a compressor model or an industrial building, DM-Toys can produce a wide range of product groups flexibly in-house using 3D printing. 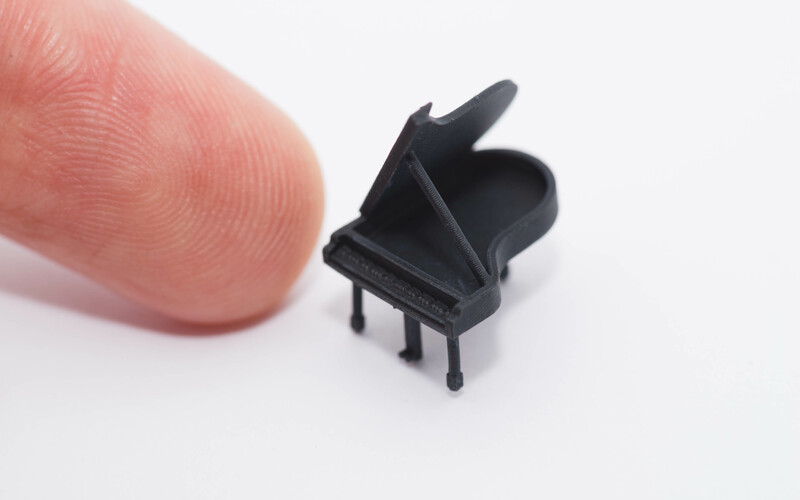 Each printer can produce around 10 to 20 parts on average in a single print job, within just a few hours – although up to 80 parts are possible. “If we have the 3D printed part in stock, we can get it to the customer within a day. If it’s not in stock and has to be printed, it’s ready for shipping the following day,” elaborates Stienen. The unpainted printed parts are shipped directly to end customers, who then paint them and incorporate them into their dioramas. Read our guide to to priming and painting 3D printed parts. Operating eight printers requires an organized set-up and a well-coordinated team. The Formlabs Dashboard provides the team with an overview of all print jobs and resin consumption. "Resin only accounts for a small part of our variable costs. We focus on efficiency, especially on the process side,” adds Stienen. External injection molding is only an option with runs of 1,000 - 1,500 units or more. It takes DM-Toys at least a year to achieve these kinds of figures, and even then, the company doesn’t hit these numbers for every product. In addition, time-to-market for injection molded models ranges from six to 12 months. The technical drawings for the injection mold and for scaling are particularly time-consuming. In addition to low production and storage costs, 3D printing also delivers benefits when it comes to design. In many cases, injection molding cannot be used to produce models with undercuts. This is not a problem for 3D printing. “We can literally turn every modelmaker’s dream into reality,” enthuses Mrugalski. If he sees an interesting object near a railway station on the way to work today, this could soon become a new product in the DM-Toys catalog. 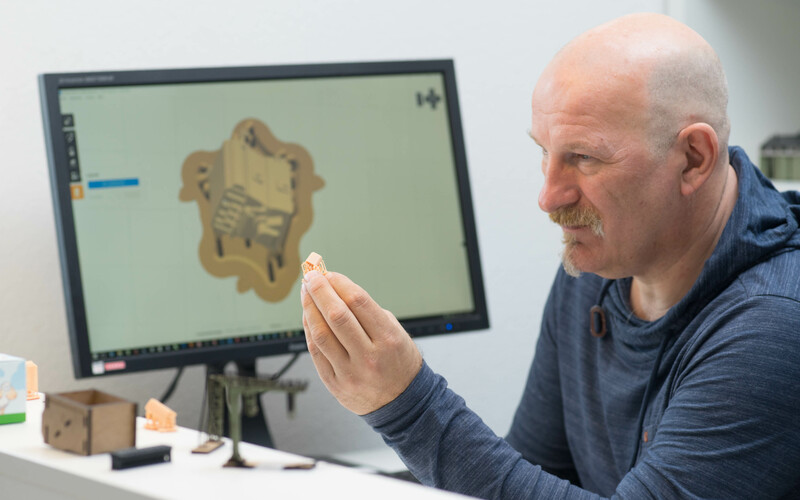 Thanks to high-resolution 3D printing technology, the model can be developed, manufactured, and included in a model railway enthusiast’s diorama in just a few days. Inspired by DM-Toys’ digital factory? 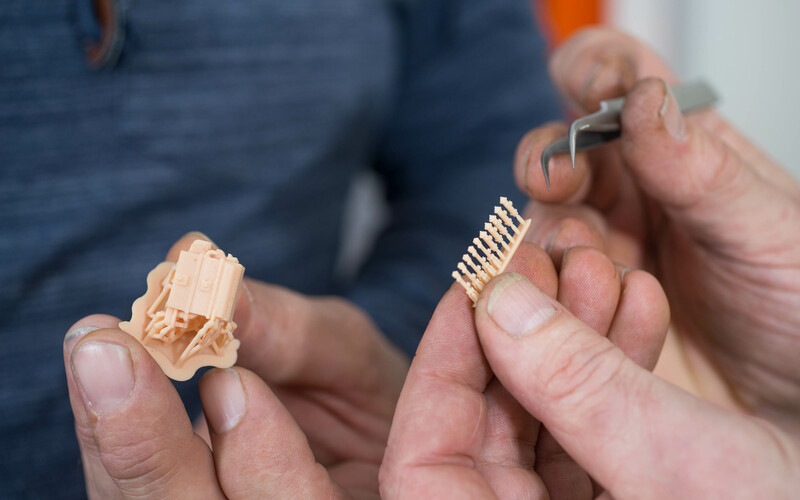 Find out how 3D printing helps engineers, designers, and modelmakers can use a facility of multiple 3D printers to develop and manufacture small production runs flexibly and cost-effectively.